Here are some of my pen pals from the international friendship club I had. I've learned so much from their letters! It was great to be able to ask them things I needed to know for Future Perfect, too. 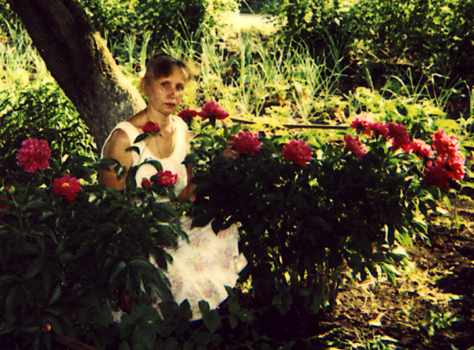 Natasha and Grigoriy live on a nature preserve in the Russian Far East, near Japan. Grigoriy works with scientists from international organizations on a project to save the Siberian tiger and its taiga habitat. He's also an artist -- he creates beautiful nature displays for museums. 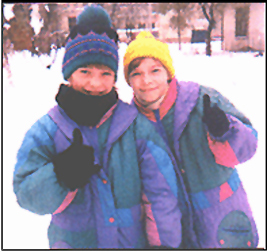 Their daughters are Nastya (left) and Lida (right). 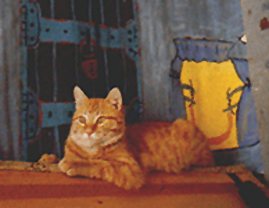 Murio is Lida and Nastya's cat; he's posing here with scenery Lida made for a play. You'll find his name in Future Perfect as the cat of a Russian dance student. Murio is my Robert Redfur's Russian double! You can see Robert on my Kat's Cats page. information about what being an identical twin is like. 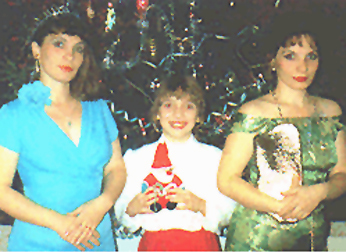 and her mom, Natalya (right), in front of the New Year's tree. 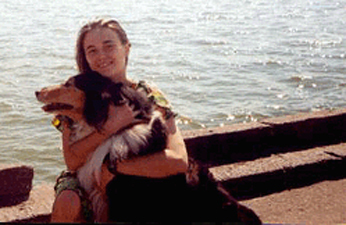 Ludmila teaches English in the part of Russia that lies between the Black and Caspian seas. enjoy a day of early spring away from the classroom. 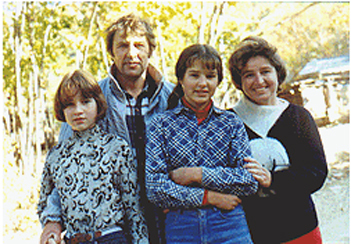 Irene (Irina) is studying to be a teacher of English in Ukraine and is already working with a class. Here you see her with her beautiful collie, Donny. 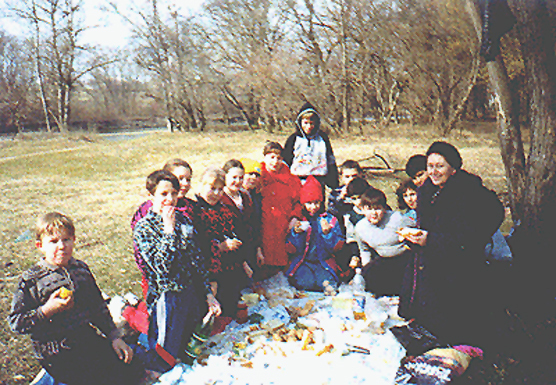 Her town is on the bank of the Dnieper River. Edward is a language teacher in Ukraine. His town is near the Polish border, with Germany just beyond Poland, so he teaches Polish and German as well as English. 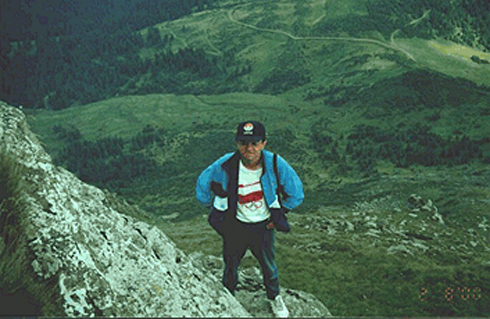 Edward enjoys hiking in the Carpathian Mountains during vacations. What a great view behind him! Valentina likes to grow flowers as well as vegetables and fruits in her garden. She teaches English in Russia near the Ural Mountains, where Europe and Asia meet. 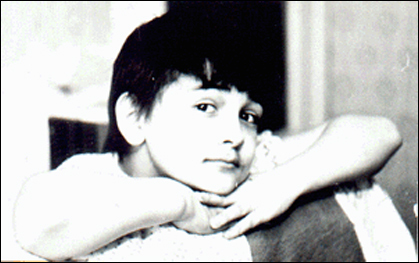 Timur was 10 when his family joined the friendship club. His mom, Elza, wrote about Druzhba in a youth newspaper she worked for then, bringing the club hundreds of members from their part of Russia. 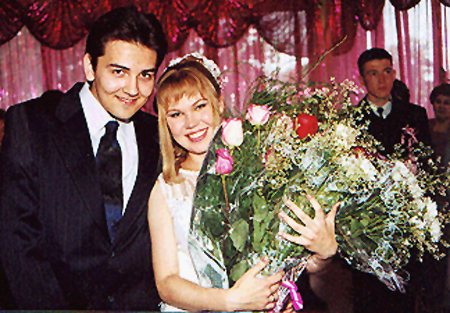 Here's Timur, grown up now, with his pretty bride, Lena. Max joined the club when he was living in Russia. 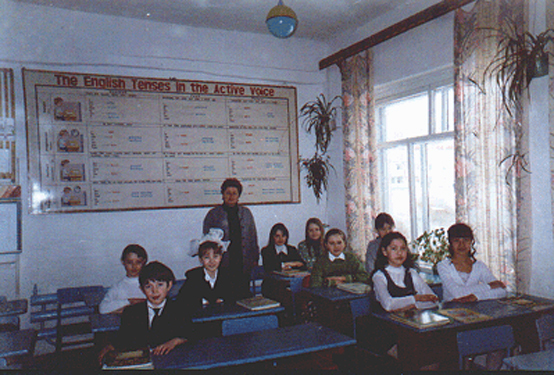 Teacher Svetlana Lupanova is proud of her good students, who are learning English in their Russian classroom. 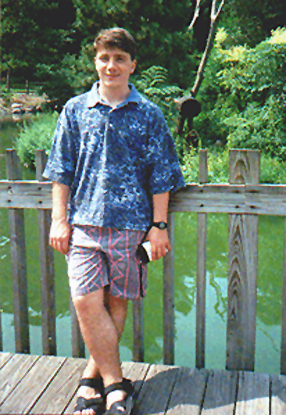 As a teen member of the club, Vladimir said he hoped to become an artist. He later went to art college, and now he's a professional artist! He's a musician, too. If so, what neat things have you learned about another place? Tori wishes she could meet her pen pal. If you could meet yours, where would you be and what would you do there? Maybe you have met your pen pal! 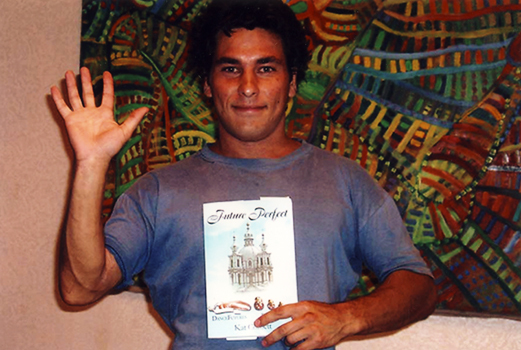 E-mail me your own pen pal news.